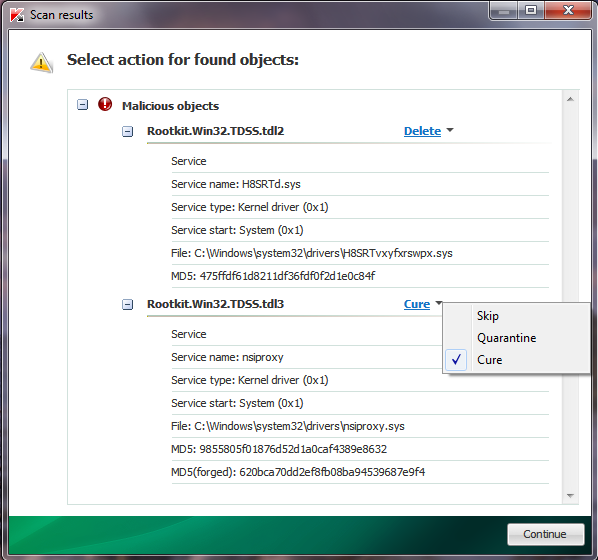 Restore Point for Infected PCs: How to get rid of www1.search-results.com browser redirect? How to get rid of www1.search-results.com browser redirect? The entire cyber world is full of serious infections. Some of them aren’t as severe as the other ones, whereas even the minor threats can represent real danger for the security of your computer. This is surely true about browser redirecting Trojans (browser hijackers). Sometimes the ways of their installation are quite legal, but this surely doesn’t mean that users will be absolutely happy about having them installed on their computers. So, this is the exact case when it comes to search-results.com redirect problem. In the majority of the cases the installation of search-results.com search bar into your browser is even coordinated with user. But, on the other hand, the installation file of this redirecting program is bundled with some other software, which is generally a freeware. 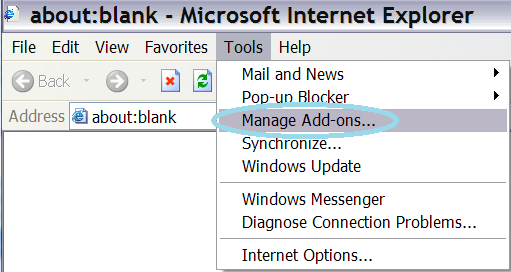 Often users fail to uncheck the respective box during the bundled installation which is responsible for bringing search-results.com into your system. And this is a serious mistake, because it will be very difficult to get rid of this hijacker once it gets implanted into your system. To say even more, once you remove the initial program that was bundled with search-results.com, the redirecting hijacker will remain on your system. The presence of search-results.com redirect on your computer is unambiguously annoying. 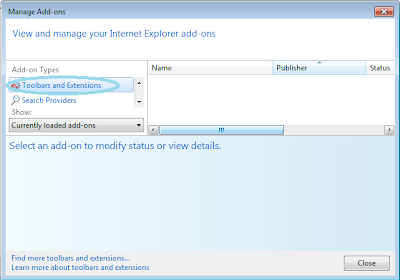 This means that all your search queries will be rerouted through www1.search-results.com. 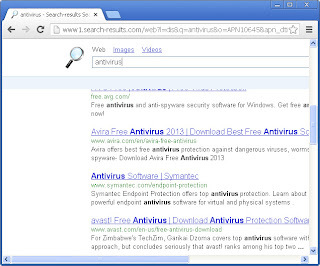 The hijacker actually promises that your search queries and the results you expect will be optimized. In fact, things turn out to be totally opposite to the promises. In the majority of the cases the search results are interconnected with the bunch of paid advertisements of some good or services, and this is the primary reason why www1.search-results.com is functioning on your computer, that is to make money for its owners by means of advertisements that are paid for by certain companies that want to publicize their products. There’s nothing wrong with advertising some items online, but doing these things via browser hijacking is surely not fair enough. 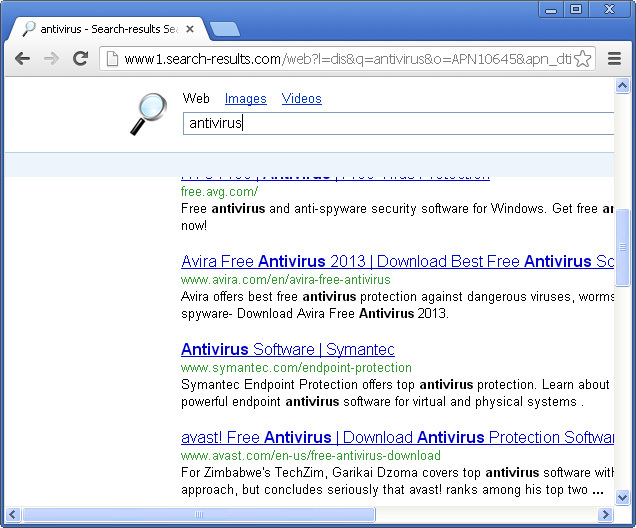 To sum up, www1.search-results.com isn’t a real virus in the complete meaning of this word. However, the ways of its infiltration into your system aren’t fair. Plus, this redirecting hijacker may implant other programs into your system, and they may cause installation of potential threats and more serious infections into your computer. Obviously, observing your search queries redirected via search-results.com isn’t a pleasant experience for users (the majority of them). If you’re in search for the correct solution on how to get rid of www1.search-results.com from your browser please follow the guidelines that we’ve provided below to assist you in fixing this problem. 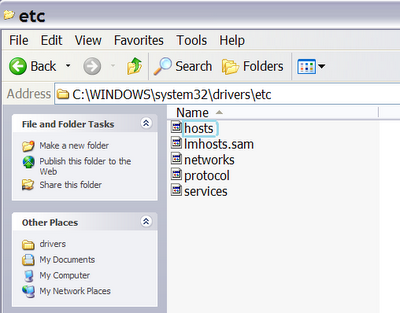 Keep in mind that this can’t be done simply by running the security software only. What you need to do is to implement the series of some manual steps, before running any antivirus program. 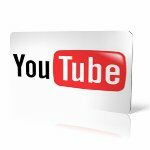 Please find the guide that will tell you how to get rid of www1.search-results.com effectively. 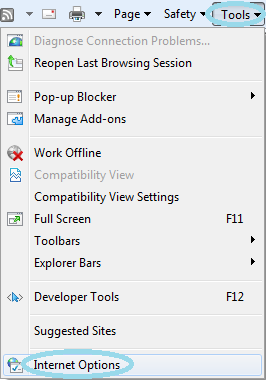 a) Open Internet Explorer. In Internet Explorer go to: Tools->Internet Options. 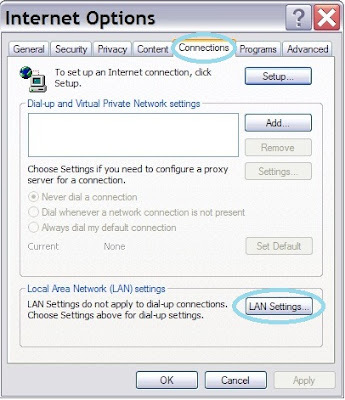 b) Click on “Connections” tab, then click “LAN settings” button. 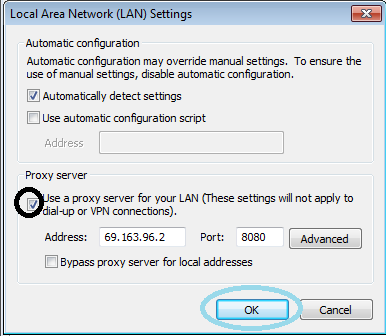 c) Uncheck (untick) the checkbox under “Proxy server” option and hit OK.
a) Open Control Panel (Start->Control Panel). 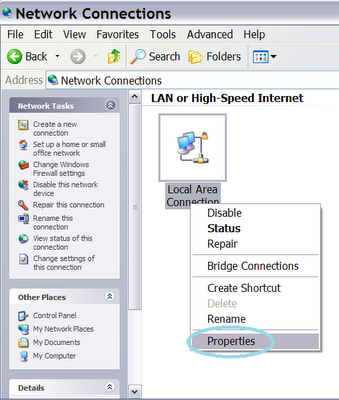 b) Double-click “Network Connections” icon to open it. c) Right-click on “Local Area Connection” icon and select “Properties”. 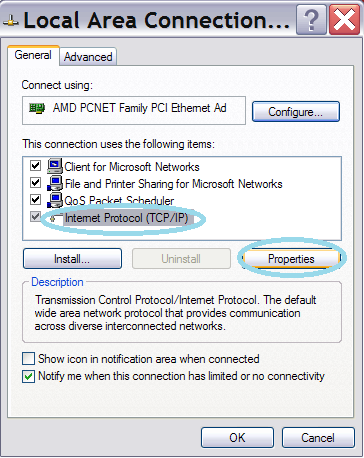 d) Select “Internet Protocol (TCP/IP)” and click “Properties” button. 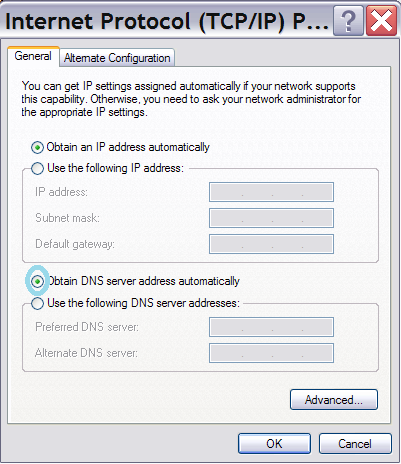 e) Choose “Obtain DNS server address automatically” and click OK.
b) Double-click “hosts” file to open it. 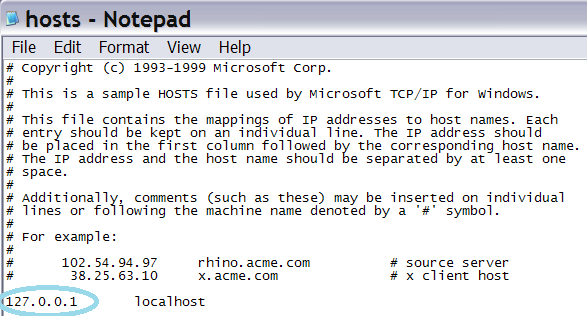 Choose to open with Notepad. 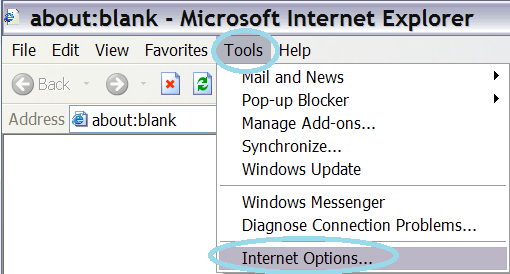 a) Open Internet Explorer. 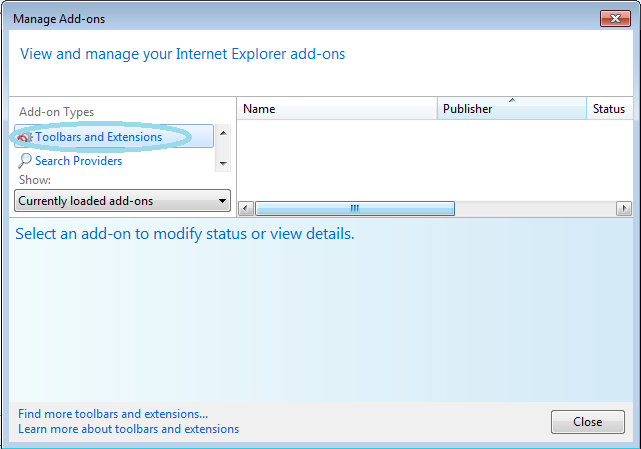 In Internet Explorer go to: Tools->Manage Add-ons. 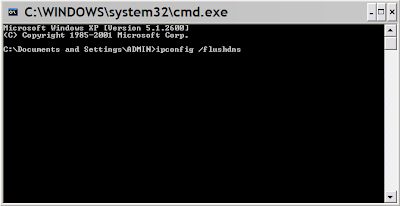 b) Execute the file TDSSKiller.exe. c) Wait for the scan and disinfection process to be over. 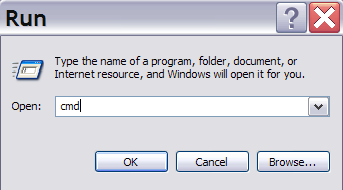 Close all programs and press “Y” key to restart your computer. CCleaner is a freeware system optimization. 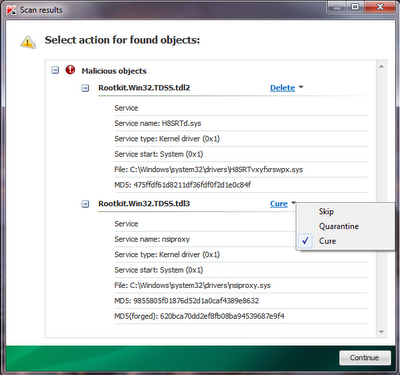 It’s not a malware removal tool. 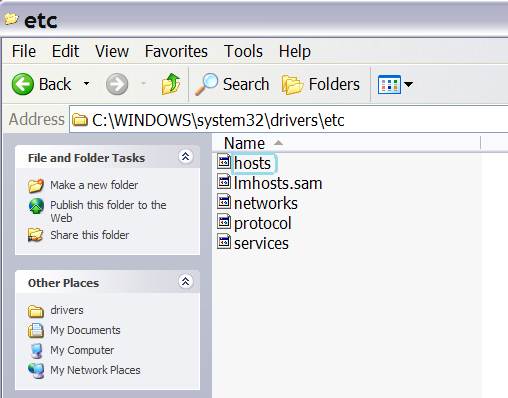 However, it’s always a good idea to get rid of unnecessary internet/system files or corrupter Windows registry values that may cause various problems to your computer. Download CCleaner free application. Keep in mind that this step is optional and should be completed only if you have followed all the above recommendations and you still have the redirect virus on your computer. 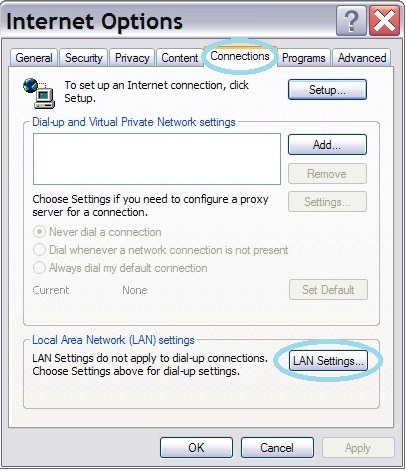 First of all, please follow this guide: How to Reset a Router Back to the Factory Default Settings. 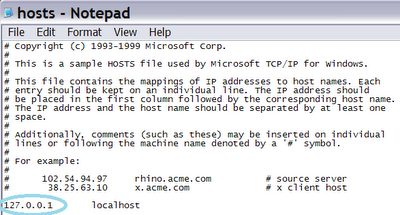 Then you should flush DNS cache: a)Go to Start->Run (or WinKey+R) and type in "cmd" without quotation marks. b) In a new window please type "ipconfig /flushdns" without quotation marks and press Enter. You have 24 hours to pay the fine - scam!